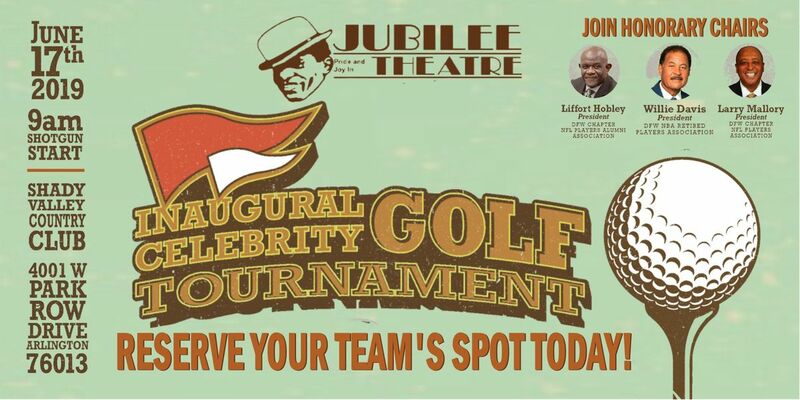 Now celebrating 38 seasons of theatrical excellence, the award-winning Jubilee Theatre will host its inaugural golf on Monday, June 17, 2019, at Shady Valley Country Club in Arlington, Texas. Shotgun start will be at 9:00 a.m. Under the leadership of board member, LaWonda Peoples, this new fundraising initiative will tap into a market of patrons and cultural arts donors who enjoy a game of golf while supporting a worthy cause. “Golf tournaments are no brainers in the world of fundraising. Jubilee is continuously looking for alternative avenues to engage our community supporters. It is our hope that our patrons embrace this new initiative and join us for a great day of competitive play,” states Peoples. Serving as Honorary Chairs for the event will be retired NFL players, Liffort Hobley and Larry Mallory along with retired NBA player Willie Davis. Hobley currently serves as the Dallas Chapter President for the NFL Alumni Association which has oversight of both the DFW Metroplex and North Louisiana areas. In this role, he leads 800 former NFL players and several former NFL staff members. Mallory serves as the DFW’s Chapter President for the NFL Players Association. Rounding out the honorary chair trifecta is Davis, President of the DFW NBA Players Association. Each team will be paired with a celebrity player. Registrants will enjoy complimentary breakfast and closing ceremony luncheon. Participate in hole challenges like the longest drive, closest to the hole, etc. Please note, ladies’ contests and tees will be available. 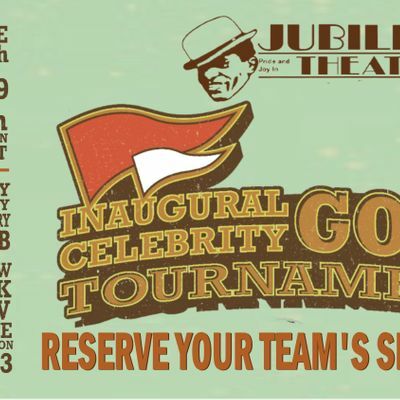 Jubilee Theatre invites the public to consider sponsoring a hole, registering a four-member team, or simply making a donation. For more information regarding team registration or sponsorship opportunities, please call (817)338-4204, ext. 3 or visit www.jubileetheatre.org.